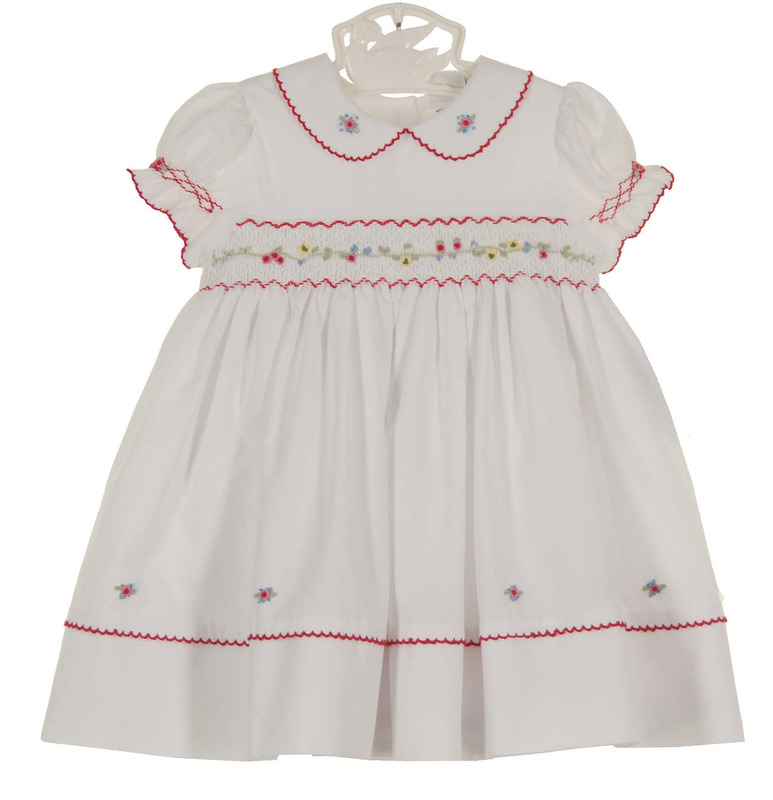 This lovely white batiste dress is made by Sarah Louise, a top British designer of beautiful baby garments. 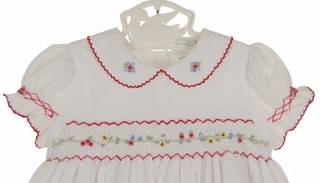 The bodice features a band of smocking edged with red scalloping and embroidered with red, yellow, and blue flowers. 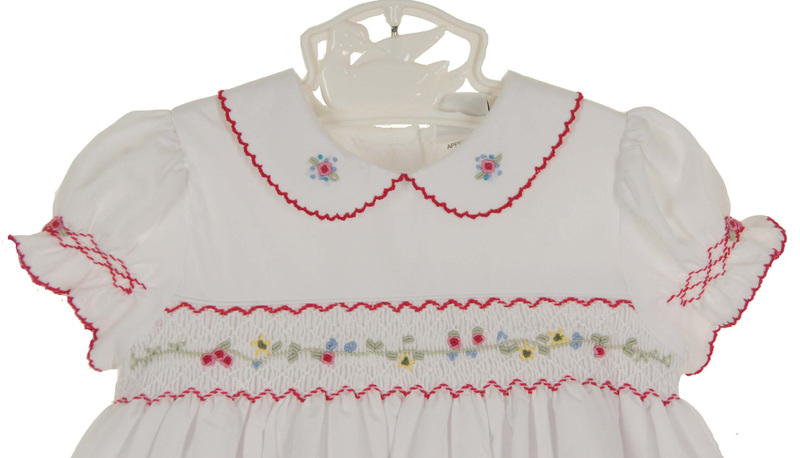 The Peter Pan collar, short smocked sleeves, and hem are edged with red scallops and embroidered with flowers. 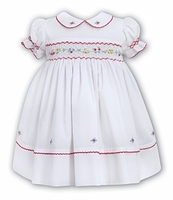 Typical of Sarah Louise design, the dress is fully lined and has an attached petticoat for added fullness. 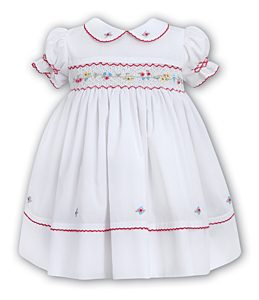 It closes in the back with three small buttons.